The mast cell as a source of IL-4, IL-5, and IL-6 in human allergic mucosal inflammation. In addition, slides were, respectively, stained with CD4 and tryptase to assess T cells and mast cells. 11 In Toluidine Blue-stained sections, the most intense areas of mast cells were examined under HPF, and under 10HPFtotal number of mast cells at lamina propria was recorded. showed an increase in the mast cell density and neuronal hypertrophy in some cases of negative appendectomies. Histamine released by degranulation of mast cells can also be measured within 5-10 minutes, but remains elevated for only 30-60 minutes and therefore has very limited value. 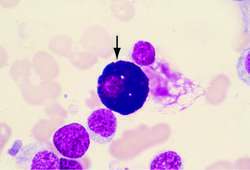 Presentation, Diagnosis, and Management of Mast Cell Activation Syndrome. Nedocromil sodium exerts its anti-inflammatory and anti-asthmatic effect by inhibiting the activation and activity of multiple inflammatory cells, including mast cells, eosinophils, airway epithelial cells and sensory neurons. The American Academy of Ophthalmology's 2012 evidence-based guideline recommends treating allergic conjunctivitis with topical antihistamines (Level A-1 evidence, defined as important evidence supported by at least one RCT or a meta-analysis) and using topical mast cell stabilizers if the condition is recurrent. IgE enhances mouse mast cell Fc (epsilon) RI expression in vitro and in vivo: evidence for a novel amplification mechanism in IgEdependent reactions. A, Poorly oriented, tangentially sectioned biopsy demonstrating the variability of the mast cell distribution in the lamina propria with increased mast cells in the deeper mucosa. 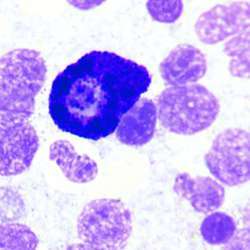 One of the challenges related to treating mast cell tumors is their highly variable biologic behavior. It has been shown that several plant products with antioxidant properties inhibit mast cell activation (Middleton et al.